Now that you’ve made the decision of getting married, you might be getting blessings and well wishes from everyone and you might be dreaming about that beach honeymoon. But before anything proceeds further you need to get some of the requisites done like choosing wedding rings and going through the process of selecting the most difficult one- the men’s wedding ring. Formerly available in the form of a simple plain band, the design of mens wedding band has developed in numerous aspects over a period of time that it nearly complements its female counterpart with options encompassing everything from gold to silver, diamond, platinum and the male’s much-loved- titanium. Now concerning the choice this change is inordinate, but it does make something else a whole lot difficult- making a decision! When are you going to wear it? Now the question is, how precisely you decide what kind of wedding ring you should opt for? In reality, you need to think as in when and where you’re going to wear it. For instance, if you desire to keep it on 24/7 and work in an office then you will be fine with most rings, taking into account even the most ductile of gold. On the other hand if you’re a man who’s manageable with his hands and employs his days crafting, repairing or building, that expensive gold ring of yours is likely to look old, battered and shabby prior the ink has even had a likelihood to dry on the marriage certificate. In such a situation, if you prefer a ring to last a long then Tungsten or Titanium are perfect metals for you. Still, if you think metal is all that you need, think twice before considering. Metal is no doubt essential with respect to as in how the ring will appear over a period of time, but equally it’s crucial of having a ring that befits you and your look. Are you among those who like a more modest look and thus would suit a simple styled band or do you prefer to be the centre of attraction. And now enters the big old question of budget. How much you’re willing or can afford to spend? If you own a budget of Brad Pitt then the world of rings is actually going to be your oyster, but let’s be honest and frank, most of us don’t! Now does that imply that you’re going to end up putting on the same ring as every other man you encounter? Perhaps five years ago, but due to the internet and the eon of metrosexual the good news is that finding an affordable ring that is unbelievably elegant has suddenly turn out to be a lot easier with high street jewellers like GN Jewellers in Melbourne.  GN Jewellers is one of the leading online jewellery store based in Melbourne. Here you will find the latest news in terms of jewellery releases and offers available online as well as on the high street.